Less experienced players often fall prey to the misconception winning in a game of roulette is solely based on luck. While this is true to a great extent, understanding the layout of a roulette table can help one place smarter bets and increase their chances of leaving the casino on profit. More importantly, novices should keep in mind there are differences in the wheels and the table layouts in the three variations of roulette – American, European and French. The betting area on the roulette table is commonly referred to as the layout. We can distinguish three types of roulette table layouts – American, French and European. The biggest difference between the American and the European layout is that the former has 0 and 00 sections, while the latter has only a 0 section. The number of possible bets one can place is also different. Due to the additional zero section on the layout for American roulette, the numbers on the wheel are positioned in a different order than those in the European variation. Many inexperienced players often fail to make a distinction between European and French roulette. And indeed, both varieties of the game share certain rules and have similar odds and house edge because of the single-zero wheel. However, the main difference between the two variants does not lie in the gameplay, but is purely “cosmetic”, so to speak, as the layout of the tables is different. For example, in European roulette, the wheel is positioned at the end of the table while in French roulette, it is located in the middle of the table. Another characteristic of the French variant is that it actually has two layouts, allowing more players to join the game at a single table. Language is another way to distinguish the two layouts. In most cases, the labels in European roulette are written in English, while in the French variant, the names of the bets and all other wordings are strictly written in French. Just to provide an example, Odd and Even bets are written as Impair and Pair on the French layout, while Low and High bets are called Manque and Passe. Then again, 1st Dozen, 2nd Dozen and 3rd Dozen bets correspond to P12 (Premiere Douzaine), M12 (Moyenne Douzaine) and D12 (Dernier Douzaine). This is often perceived as a setback for non-French speakers. 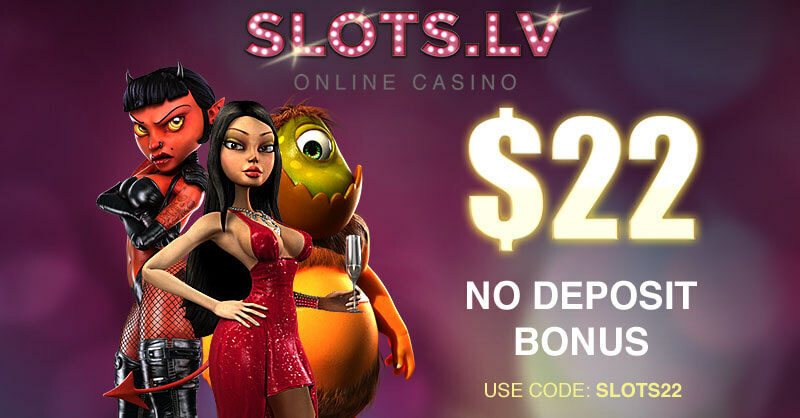 However, when one is familiar enough with the game, they will not experience any issues while playing since the French layout is often similar to the one used in the European roulette tables. For many novices, the roulette table layout is intimidating but the truth of the matter is, it is actually quite easy to understand. If you take a glance at the layout, you will soon notice there are 18 numbers in red boxes and 18 numbers in black boxes. Respectively, there are 18 odd numbers and 18 even numbers. Numbers 1 through 18 are called Low numbers, while those from 19 to 36 go by the name of High numbers. Outside bets enjoy a great popularity among less experienced players as they have a higher probability of winning. However, the payouts for such bets are smaller. Outside bets can be subdivided into several categories – Red or Black, Even or Odd, Low or High, Dozen, and Column bets. There are two adjacent box areas on the layout, marked by red and black rectangles, but sometimes the words “red” and “black” are written down instead. This is where Red or Black bets are placed. As players have equal chances of winning or losing with this type of wager, Red or Black bets pay even money, or in other words 1 to 1. Player wagers £1 on a Red/Black bet that covers the Red numbers. If the ball lands on one of the Red numbers they will collect a total of £2. Even or Odd bets are based on the same principle only the player is trying to predict if the ball will land on an even or an odd number. Even bets are placed in the grid positioned to the left of the Red bet box, while Odd bets are located to the right of the Black bet box. As the chances of winning or losing are again equal, the payout for Even or Odd bets is also 1 to 1. Player wagers £1 on a Odd/Even bet that covers the Even numbers. If the ball lands on one of the Even numbers they will collect a total of £2. Low or High Bets are another type of wager less seasoned players commonly prefer. 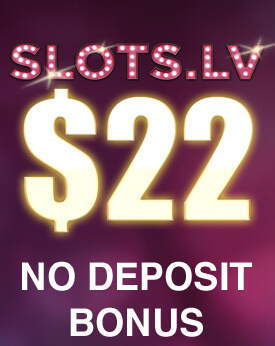 The box for Low bets is located to the left of the Even bet box and is marked “1 to 18”. The High bet box is positioned to the right of the Odd bet box and is marked “19 to 36”. Both pay out 1 to 1. Player wagers £1 on a High/Low bet that covers the Low numbers (1 to 18). If the ball lands on one of the Low numbers they will collect a total of £2. The 36 numbers in the game can be divided into three groups, consisting of 12 numbers each. Towards the middle of the layout, there are three boxes where Dozen bets are placed. The boxes are marked “1st 12” for bets on the first twelve numbers, “2nd 12” for bets on number 13 to 24 and “3rd 12” for bets placed on numbers 25 to 36. Dozen bets have a slightly higher payout of 2 to 1. Player wagers £1 on a Dozen bet that covers the 1st Dozen (1 to 12). If the ball lands on one of the 1st Dozen numbers they will collect a total of £3. Another option is to place a Column bet as the 36 numbers on the layout can be divided into three separate columns with 12 numbers each. Below each column, there is a box that says “2-1” – this is where the chips for Column bets are placed. The marking also corresponds to the payout for winning Column bets. Player wagers £1 on a Column bet that covers the 1st vertical line. If the ball lands on one of the 1st Column numbers they will collect a total of £3. More daring players opt for placing Inside bets. These are riskier as one’s chances of winning with such bets are significantly lower, so understandably the payouts are higher. There are five subtypes of inside bets in a game of European roulette, but the American variation has one additional side bet. A Straight Up bet is placed on a single number and pays out 35 to 1. Split bets are placed on two numbers which are adjacent to one another horizontally or vertically and has a payout of 17 to 1. Another type of Inside bet is the Street bet, placed on three numbers located on the same horizontal line on the layout, for example, numbers 7, 8 and 9. Street bets have a payout of 11 to 1. With Square bets, the chips are placed in the middle point between four numbers on the layout – an example would be a wager on 5, 6, 8 and 9. Winning Square bets have a payout of 8 to 1. Finally, we have Six Line bets covering six numbers positioned next to one another with a single chip and pays out 5 to 1. In the American variation of the game, there is one additional wager, called the Line Five bet. The latter covers five boxes of numbers as the name itself suggests – 0, 00, 1, 2 and 3 and pays out 6 to 1. American Roulette Inside Bets – Straight Up, Split, Street, Square, Line Five, Six Line bets.